your search for independent information on Mongolia is over! Information by travellers; for travellers. So, you've traveled around the world a bit, but you want to experience something different? Somewhere exotic, beautiful, and not jam-packed with other tourists? A place where you're off the beaten track, as soon as you get there? Imagine, then, 600 thousand square miles of beautiful, unfenced, unspoiled land..
A nation of friendly, hospitable, honorable people. A place where you can head out among rolling hills, pristine lakes, vast deserts, and glacier-capped mountains..
More vodka, mutton, and dried dairy products than you could ever ask for!.. Mongolia truly is an awesome place. And it's sitting there, the most sparsely populated nation in the world, waiting for YOU head out and discover it! Hi! I'm Cam, and welcome to my site! Mongolia Travel Advice tells you everything you need to know about travel to this magnificent country. And it's all written by me, a real person, based on my own experience. I've kept this site simple, 'old school' and free of flashing banners and ads and stuff. The way websites used to be! But rest assured the content is refreshed regularly. 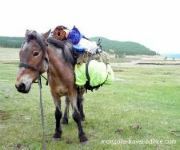 My site aims to equip you with everything you need to know to independently plan and enjoy your travel to Mongolia. So what are you waiting for?! Go and make your dream adventure happen! 1. Define your trip: See the overview of all the top destinations, covering the Gobi desert, Lake Khovsgol, Central Mongolia, Terelj, and my personal favourite, the stunning Western Mongolia; these include destination pictures, sights, history and how to get to each destination. Browse through my photo gallery and click to read more about any place that excites you. 2. Plan your trip: Learn of the best ways to get there (train, flights, or overland). 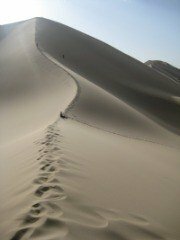 Read my page on what to expect to get a sense of the challenges and rewards you will encounter on a holiday in Mongolia, and manage your expectations by being prepared for the negatives of traveling in Mongolia. Know about all the travel essentials such as safety, visas, and when to go. By the end of this, you will know enough to book your flights or train tickets over. Do it! Lock it in! The rest will then take care of itself. 3. Figure out exactly what you're going to do once you're over there. Now this isn't anything to worry about: there is so much to do, you're going to love it. Mongolia can be a difficult place to travel independently, so many people decide to take a tour with a reputable tour company. If this conjures up images of large tour buses full of overweight camera-toting fools searching for souvenir teaspoons, don't worry! The word 'tour company' in Mongolia extends to anyone who can arrange a jeep or a horse. If you're going to beautiful and remote West you definitely want a Western Mongolia tour company that specialises in that area. There's loads of practical advice on planning horse treks, and trips for camping, fishing, trekking, kayaking, and other ways to make an unforgettable trip. Activity ideas are scattered around my destination pages. You can also read my pages on Mongolian rivers and mountains (including maps) to plan your own trip and really get off the beaten track. Oh, and there's a lot of information on the capital, Ulan Bator -it's a pleasant enough place to pass a few days. 4. Educate yourself as the departure date draws nearer, to ensure you get the most out of your trip. View some of the recommended reading to get a real sense of the place, and get more excited about going there. Learn about Mongolia: some various country facts and some history on the place (including the great Ghengis Kahn), Mongols and their culture, and all about the fascinating history and persecution of religion in Mongolia. Learn about weather and how its changes define the nomadic lifestyle. See my list of what to pack page, including many valuable hints I've learned from my years of third world travel, and start buying any stuff you might need. There's even a bad joke for you to recite to your family as they see you off at the airport. And that's it! You're all sorted! Use the Navigation buttons on the left of the page to find your way around. If you found my site useful, I'd be eternally grateful if you PLEASE share it via social media, so it can be discovered by others. Also get in touch after your trip and contribute your photos or advice so I can help future travellers. Happy travels!! Buy Your Own Yurt! We Now Have Mongolian Yurts For Sale!